Muslims for 9/11 Truth: Zaid Hamid tells the truth - and does not mince words! Zaid Hamid tells the truth - and does not mince words! Zaid Hamid, like all well-informed Pakistanis, is furious that the Zionist-dominated USA is attacking Pakistan as part of the 9/11-triggered War on Islam. CIA-backed fake "radical Muslim insurgents" are murdering thousands of Pakistanis in false-flag attacks; CIA agent Raymond Davis was actually caught red-handed preparing one such attack! Sir Zaid has been exposing the big lie of the "war on terror" for many years. 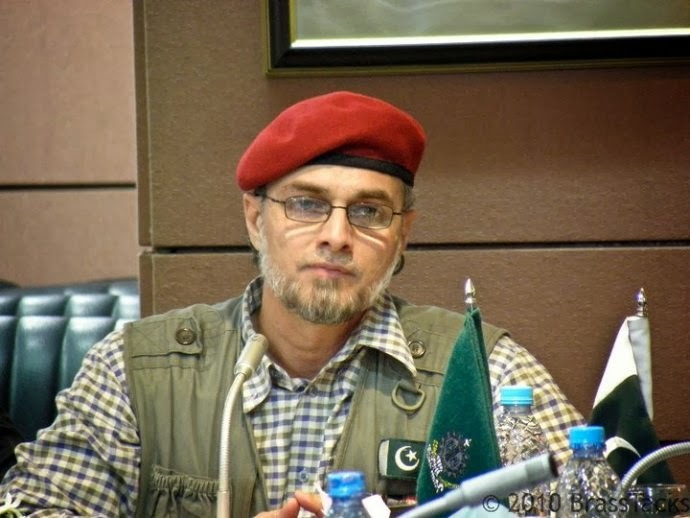 When the US government and Zionist-dominated media lied about the raid on the alleged "Bin Laden compound" in Abbottabad, setting up Pakistan to take the blame for supposedly harboring Bin Laden, Zaid Hamid went on the verbal warpath. Note that Zaid Hamid's analysis of the Abbottabad raid is supported by America's leading investigative reporter, Seymour Hersh, who says that the official story of the raid is "one big lie - not one word of it is true." 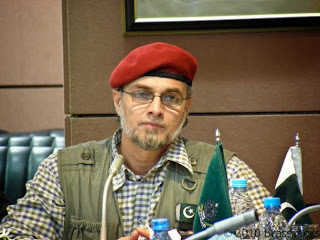 Representative of the patriotic Pakistanis, Sir Zaid Hamid warns the enemy after the OBL Drama in these words. “This is our message to the Muslim world as well as a warning to the American Zionists and Indians. Pakistan is under attack at the moment; the last frontier of the Muslim world is being attacked from all axes. It is a 4th Generation War, in which terrorism, violence and insurgencies are being waged against the Pakistani state. A massive economic propaganda warfare has been launched as well. The entire Middle East is being reshaped. Muslim lands are being cut into smaller countries. American media, a disinformation machine, is waging a global war of lies and deception and deceit. Iraq was destroyed and decimated in a war which was based on Weapons of Mass Destruction [WMD]. No less than Colin Powell lied in the United Nations, fooled the Muslim World and lied to the whole world. America waged an illegal and unjust war in which a million Muslims have been killed in Iraq and has decimated the Muslim land totally. The wars have been waged against Libya and Somalia; on the other hand, Palestine and Kashmir have been burning issues for the last sixty-four years. Now, all the Zionist guns are targeting Pakistan. Pakistan is the only Muslim Nuclear country; a country with a very organized army and a patriotic nation. Pakistan is now being presented as a terrorist state, just like Iraq was presented as a nation having Weapons of Mass Destruction. It was a softening up process before the invasion. The American bluff in Pakistan, the propaganda disinformation they are spreading about Osama bin Laden and Pakistan being the epicentre of terror, everything is being done to soften up Pakistan for an invasion, just like the invasion of Afghanistan, Iraq and Libya. We Pakistani patriots are warning the Indians and the Americans. We are not Iraq, we are not Afghanistan! We are an Islamic army, nuclear armed. Your supply lines in Afghanistan go through Pakistan. Your hundred and fifty thousand troops will be slaughtered and butchered if we do to you what we did to the Soviets. Do not forget that Pakistan broke down the Soviet Union. We changed the geography, we changed the politics and we can do the same to you! Your 60% fuel and 80% supplies go through Pakistan. We know your deceptions and bluffings against Pakistan; the entire Osama bin Laden drama that you have created, is based on deception and lies. Why are you not telling the world what happened in Abbottabad? Your helicopters were shot down ! Your troops were killed! You will never acknowledge this! The world media would not talk about your own troops being killed and your helicopter being shot down! In the last ten years, so many of your top ranking officials have acknowledged at least half a dozen times that Osama bin laden has died. No less than Madeleine Albright had acknowledged way back in 2003, that Osama bin laden had died but the news was being kept secret to boost the credentials of the president or the next president before the presidential elections. At the present, Obama’s ratings were hitting rock bottom; he needed a drama, a facade, Osama bin laden being killed in Pakistan to boost his own ratings. And on the other hand, to create this global environment that Pakistan is a terrorist state. We know what you are going to do next; you have already mobilized the global media; now you are going to mobilize United Nations. You have already bought off the Pakistani government, which is compromised and treacherous. But we the Pakistani patriots and every segment of the Pakistani society, the Armed Forces, ISI, strategic assets, Air Force Navy, Establishment, students, traders, farmers and the simple Pakistanis know how to live with dignity and die with honour! By God, you will regret the day you were born, the day you decide to put your feet on Pakistani ground! We know, you are already waging a massive war against us. Pakistan is facing multiple insurgencies on every axis. Tehriq-e-Taliban Pakistan [TTP], the only terrorist organization in the world which has promised to avenge the so-called death of Osama, the Baluchistan Liberation Army [BLA] and the terrorists who are now waging havoc in Karachi; we know that they are ALL funded and backed by you, Indians and the CIA! Today, you are hurting us, yes. But you are hurting us because of the traitors within our ranks; because of traitors within our government and media. But that does not mean that Pakistani patriots, people who live and die for Islam and their ideology, are going to take it lying down. We are not! We have the will, the potential, and the capability to do with you what we did to the Soviets. We are warning you now! Back off! Do not threaten Pakistan! Do not weave a web of deception around us! The entire axis of global Zionist media, politics and diplomacy is now being launched against Pakistan. But we are ready to live and die for honour, our ideology, our faith, and our land. You can push us to a limit, but fear the day when we decide to respond! In the next few months, we know that you would be creating a global environment to wage a physical war on us. We know, we will take many heads; we have taken many heads but that has strengthen our resolve to stand up, keep our flag up high. Your unjust wars on the Muslim lands have woken up the sleeping Muslim nations from their slumber. And now wrath of God awaits you in Pakistan if you ever decide to put your feet on ground! As far as the traitors are concerned who are collaborating with you today, their days are numbered too! It’s only a matter of time! We Pakistanis want to live in peace, but we will not tolerate you invading our lands! You have no business to be in Pakistan! Now that you have officially claimed another lie that Osama has been killed, which you have claimed a dozen times before as well! But now that you have done it officially, you have no business to be in Afghanistan. You do not speak our language, you do not have our passports, you do not share our faith. You are an occupation force here. You are here in this region to destroy our ideology, identity and life style. You are here in this region to control our fuel and fossil assets. You are here in this region to control the global water ways that we control. You are here in this region to destroy our nuclear weapons. You are here in this region to contain China and Russia and to defend Israel. This hoax of so-called War on Terror, is only to achieve the grand strategic objectives that you have for the twenty-first century. You have no business to be in this area, in this region, on our lands. You are occupation forces. So we are giving you the last warning now. We want to live with dignity, we want to exist in peaceful co-existence; but not at the cost of our honour and the dignity. We are sending you a last message, especially to the Indians as well. Do not try to ride on the American shoulders! Do not exploit Western hatred for Islam for your own objectives! By God we will cut you down to the size of Sri Lanka! We have ruled over you for thousand years and we will rule for another thousand! If today, you feel that you have a nexus built with the Western powers to encircle, isolate and destroy Pakistan, you are delirious and you live in a world of fools! We Muslims, only come on our own when we are threatened. You have created a combined threat against us but never forget the history. For thousands of years, Muslims from the West have been charging and capturing Delhi, and by God we will see you in Delhi very soon! You will start the War, [we are telling this to the Indians as well], but then you will have no control over it., We will finish it for you! That is our last message for you! If you have any sense, pay heed. Else, you have been advised! Pakistan Zindabaad!!"